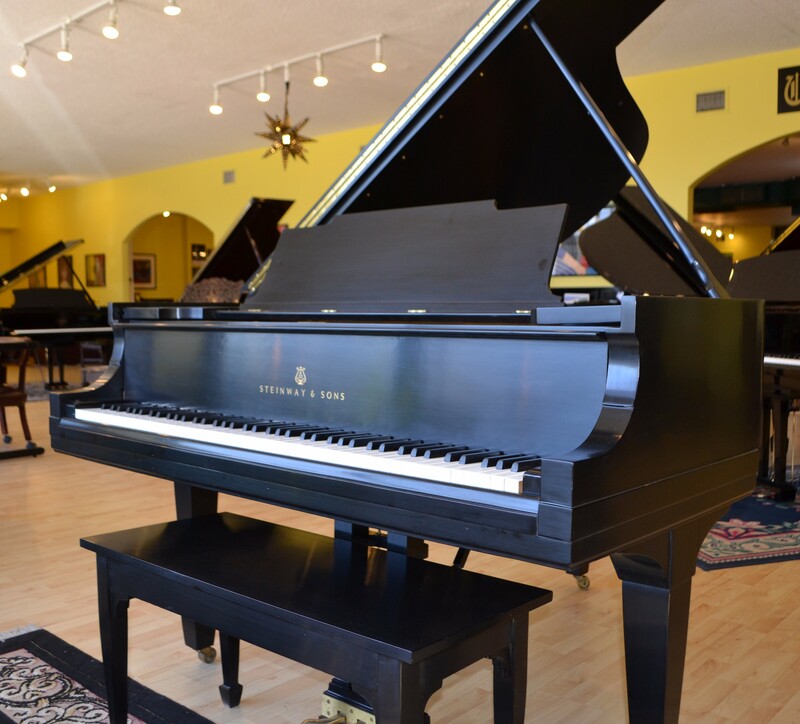 We believe that pianos are more than just an instrument. 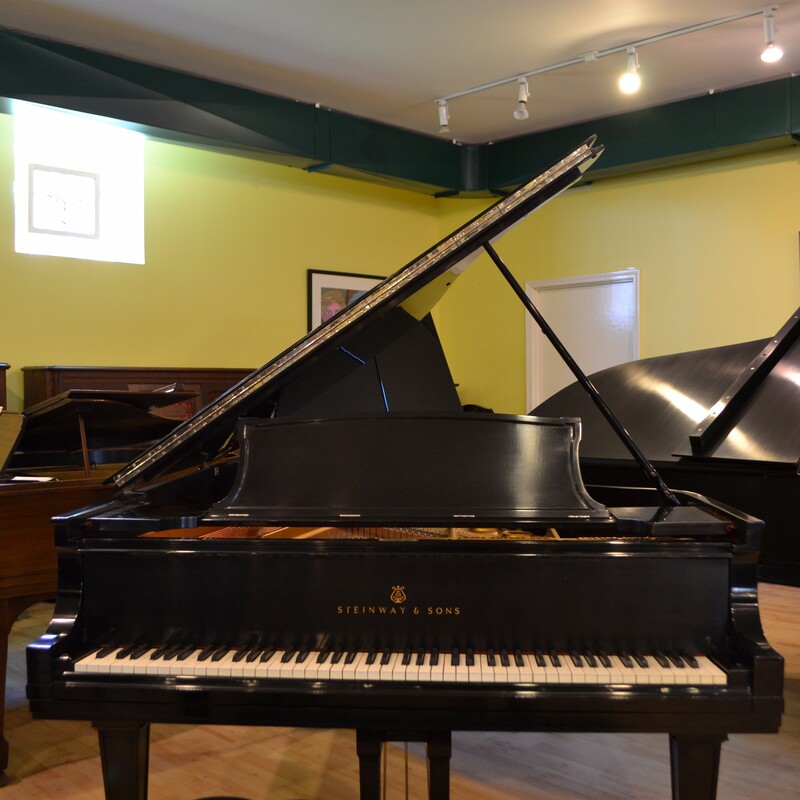 They are an investment in art. 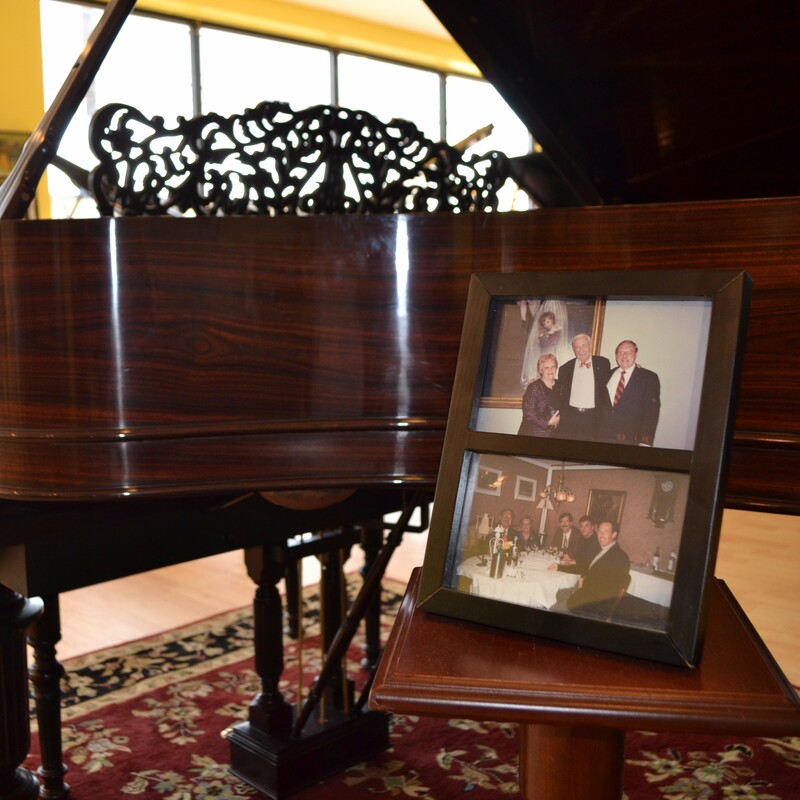 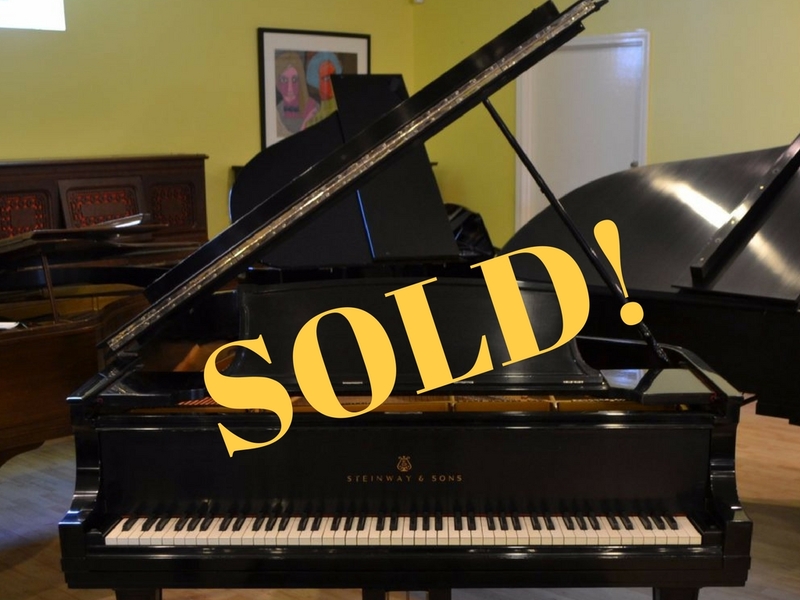 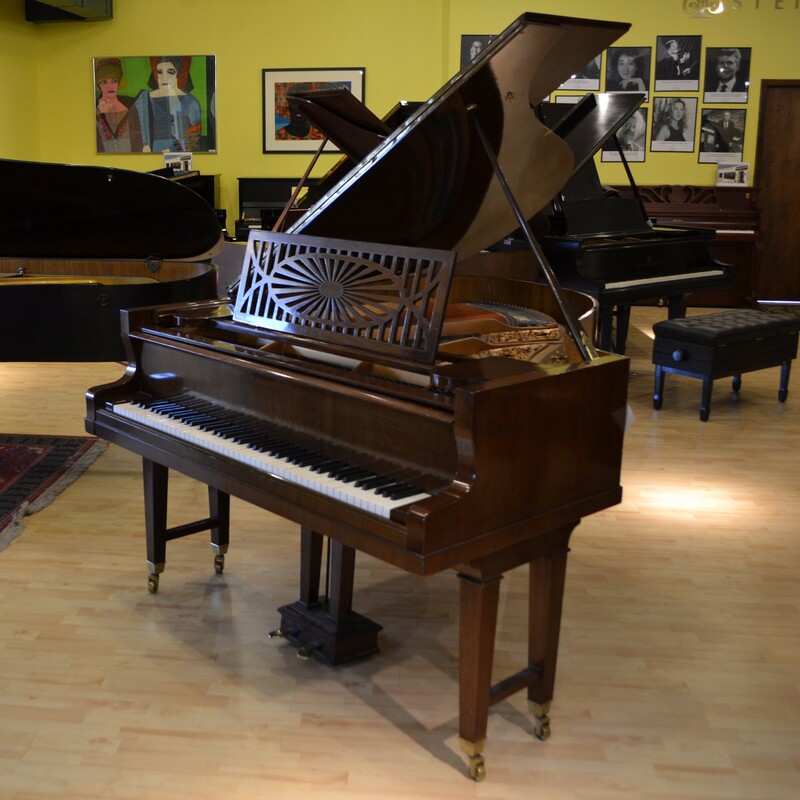 It is a privilege for us to be able to showcase several rare, collectible pianos with impressive provenance right in our showroom! 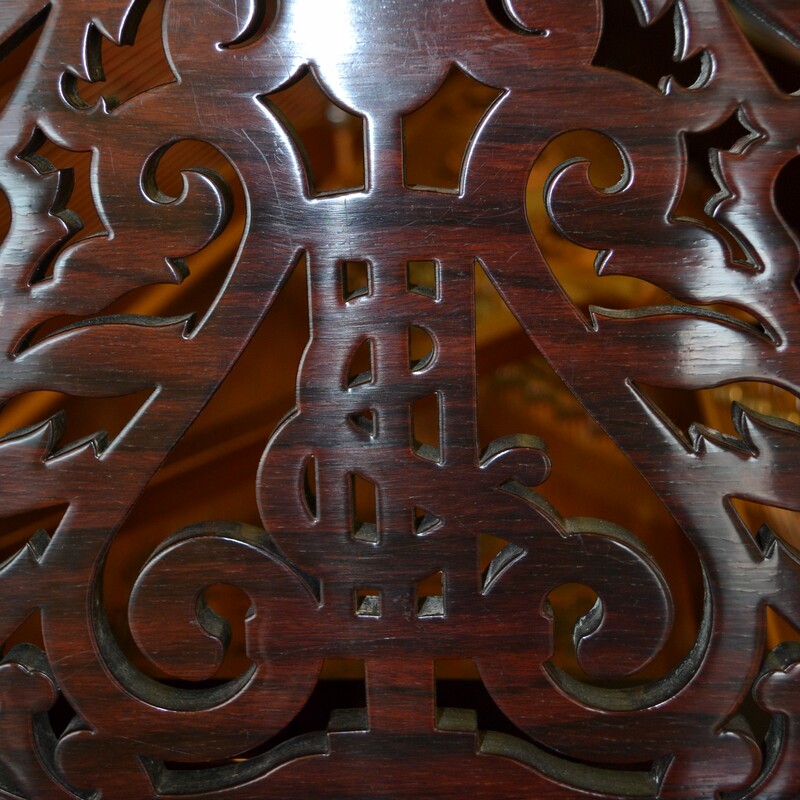 Below you'll find more information on these museum-quality pieces. 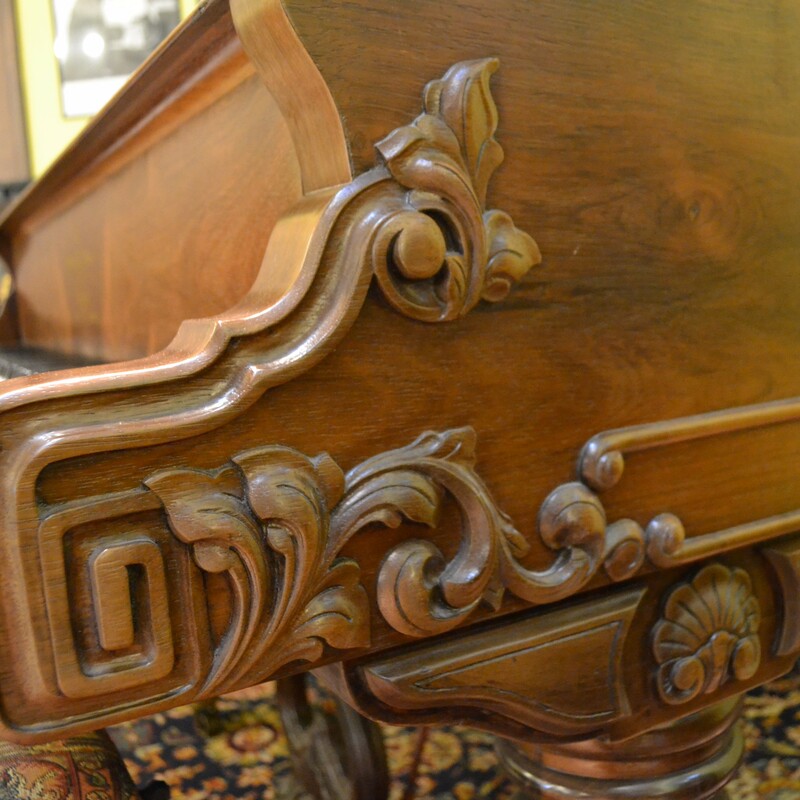 Come visit in person to see these masterpieces and learn more about the stories that make them so special. 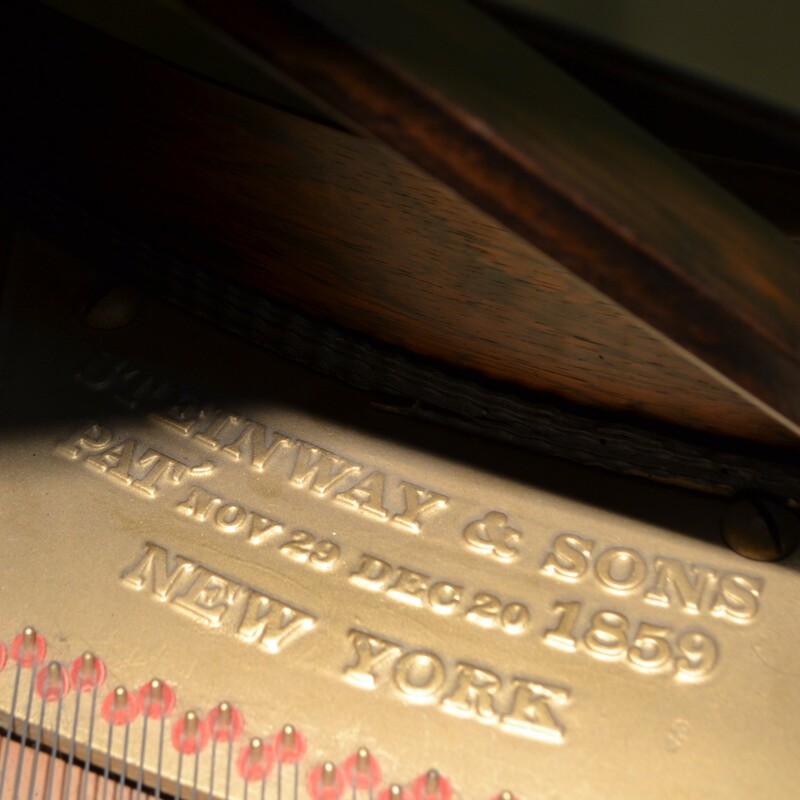 Historic 150th Anniversary Steinway Semi-Concert grand Model B Finished in East Indian Rosewood build in Steinway's 150th year -- 2013. 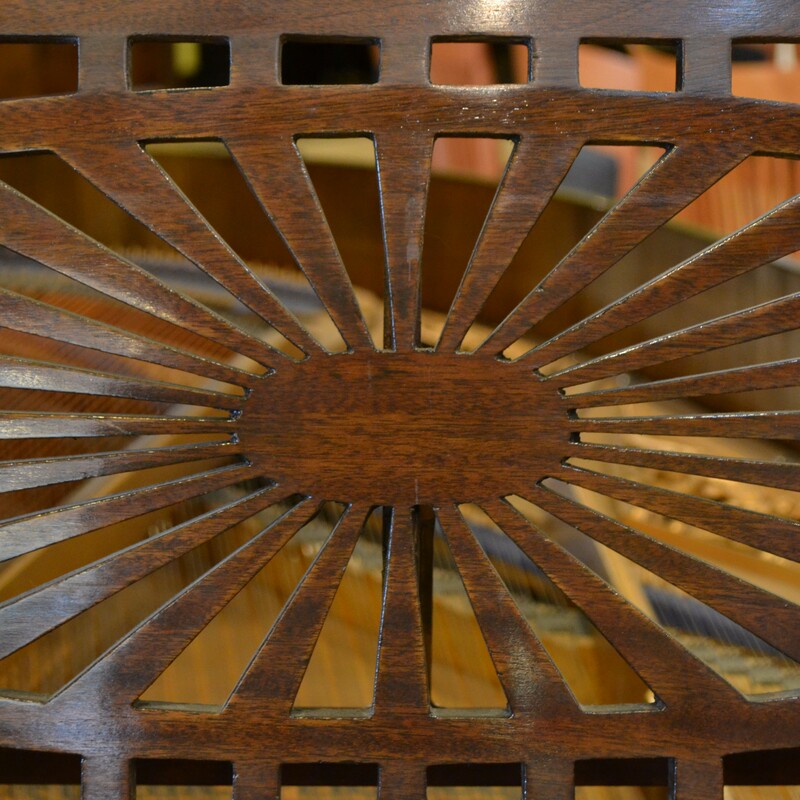 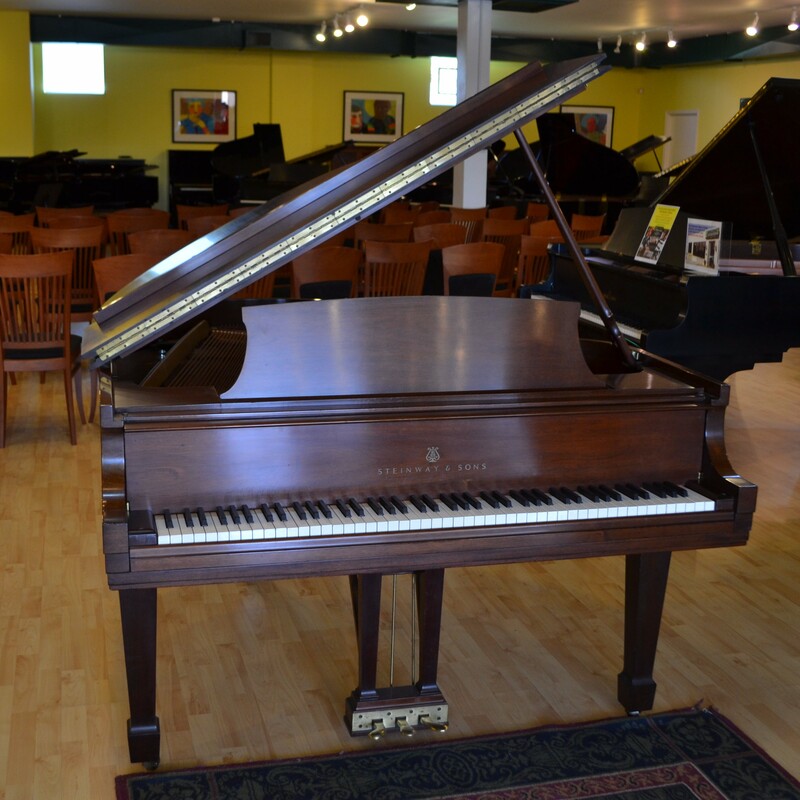 Pristine, original immaculate like-new condition with matching East Indian Rosewood Bench. 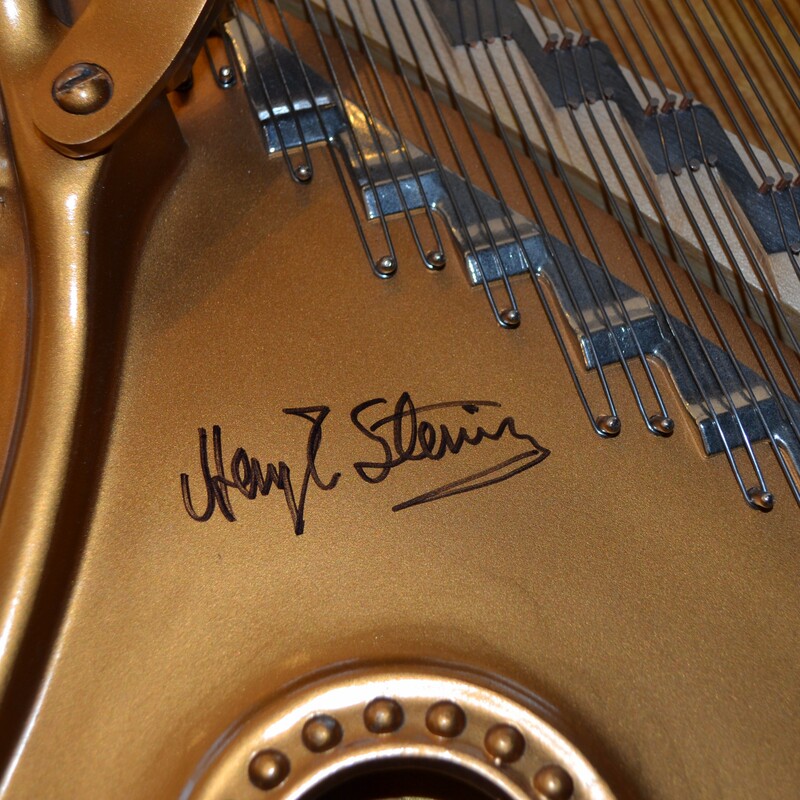 A very rare collectible historic masterpiece of both musical and visual art! 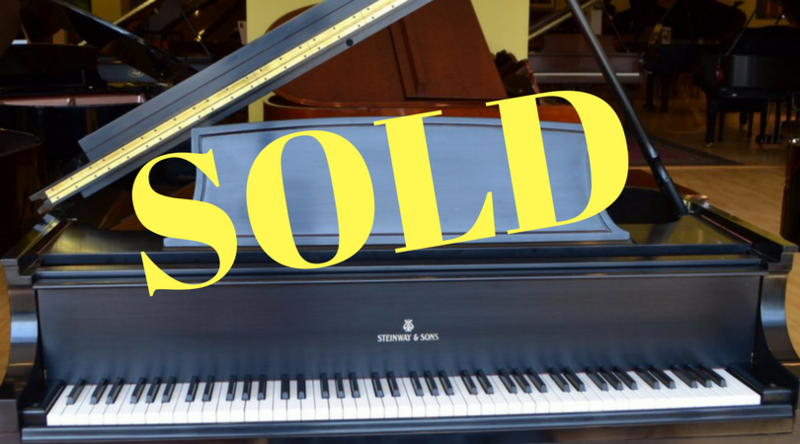 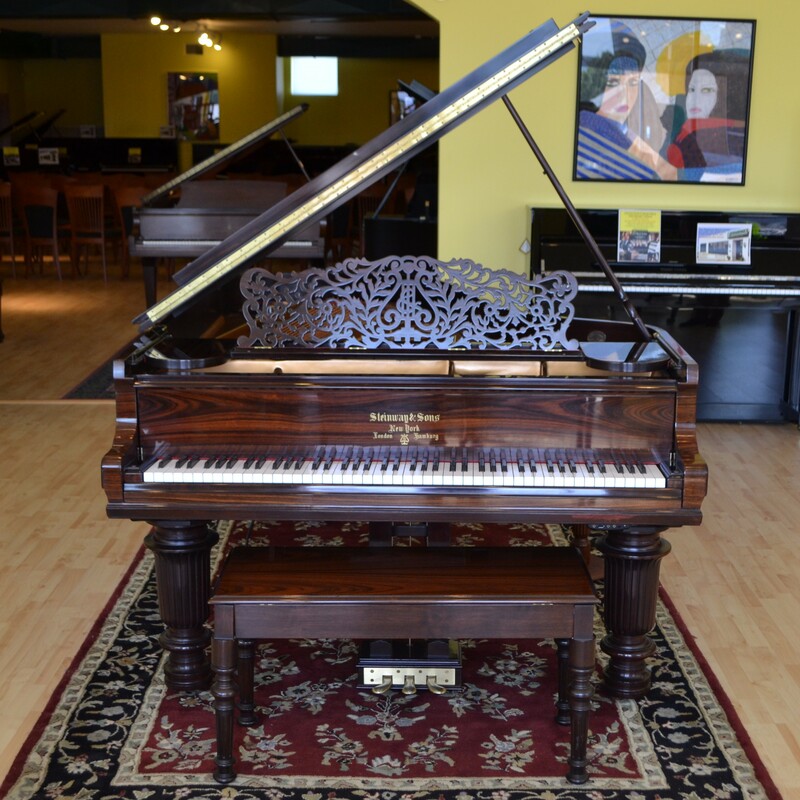 This piano is available for sale, please call Chris Fulk for complete information at (336) 724-9612 or (336) 577-1954. 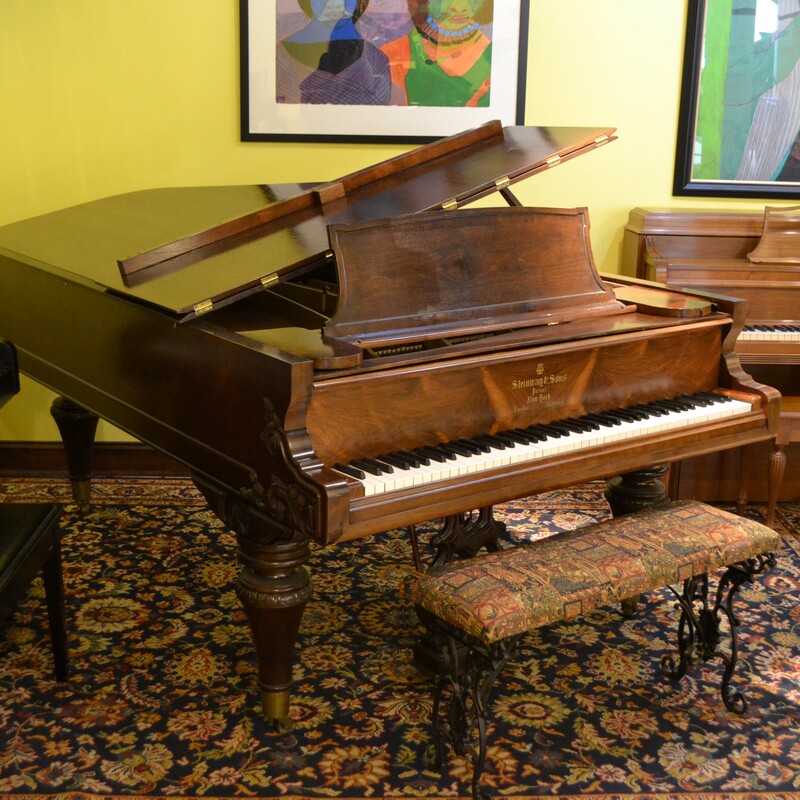 This vintage Steinway Model A3 Grand piano performs as if it were a 7-foot Semi-Concert Grand, but measures only 6'4'' long. 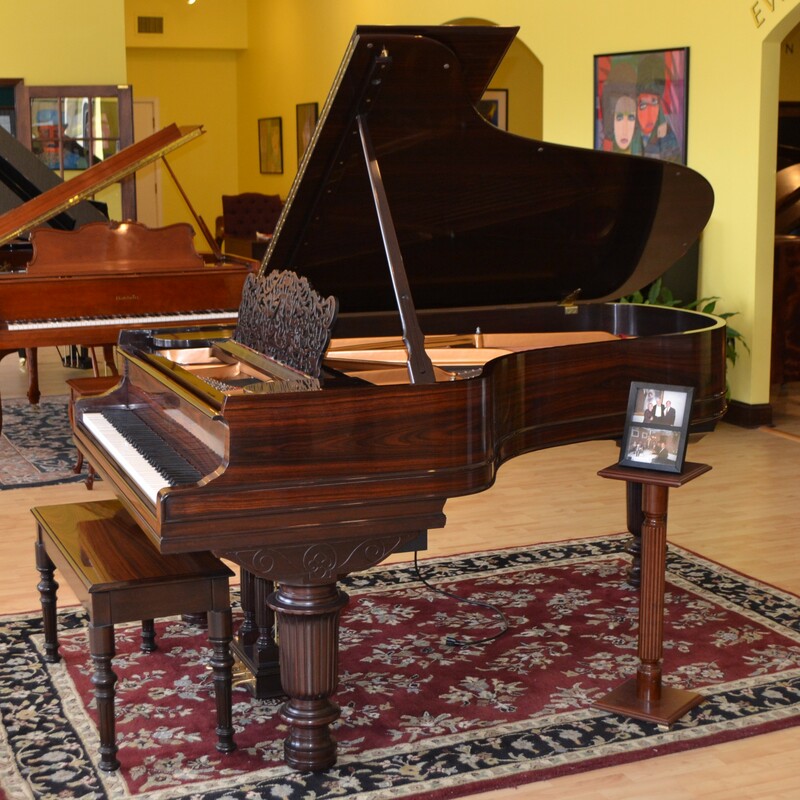 Made in 1925 and fully rebuilt since, the ebony finish gives it a striking look that would look truly grand against any style of decor. 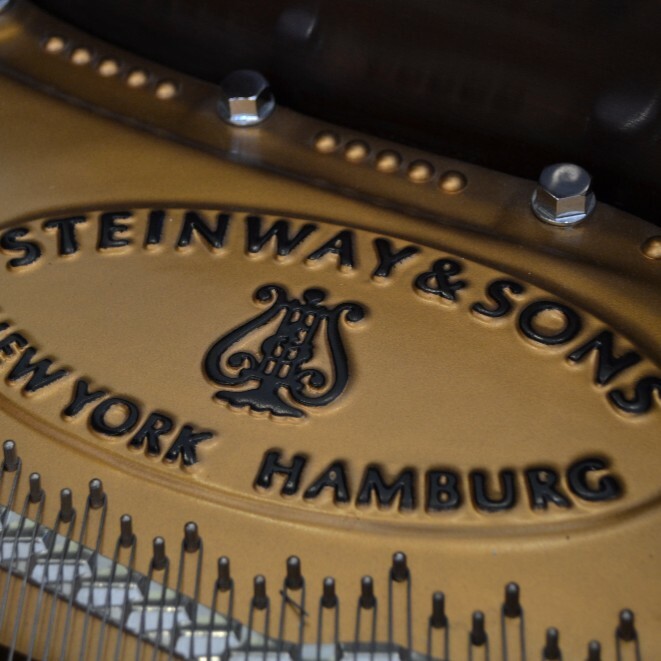 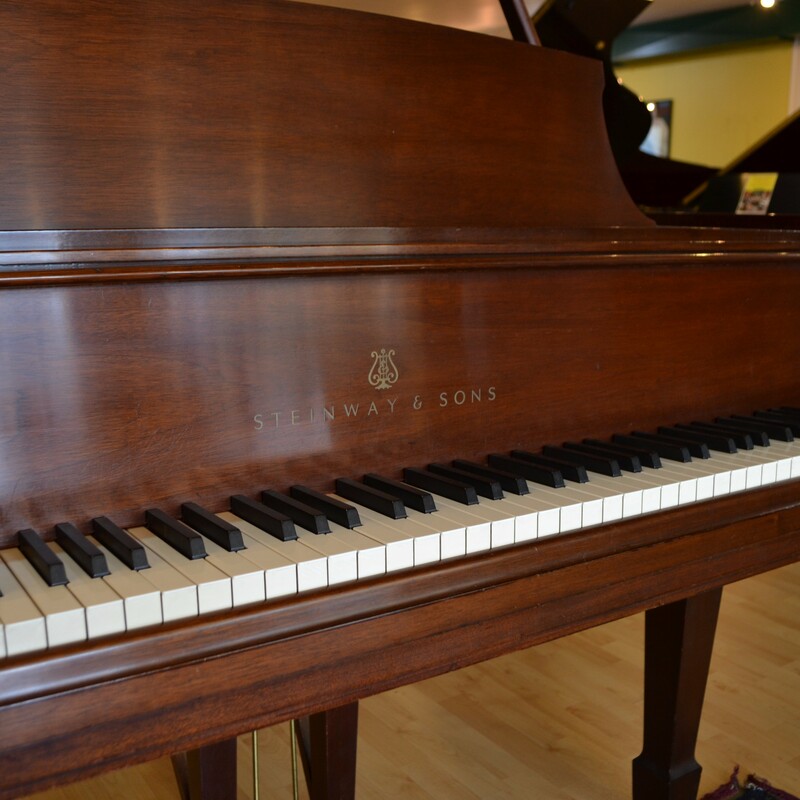 Steinway Model M 5'7'' Mahogany grand piano serial number 420954: This instrument was selected at the Steinway New York factory, for the original owner, by John Steinway in 1970 when the Steinway family still owned and managed Steinway & Sons. 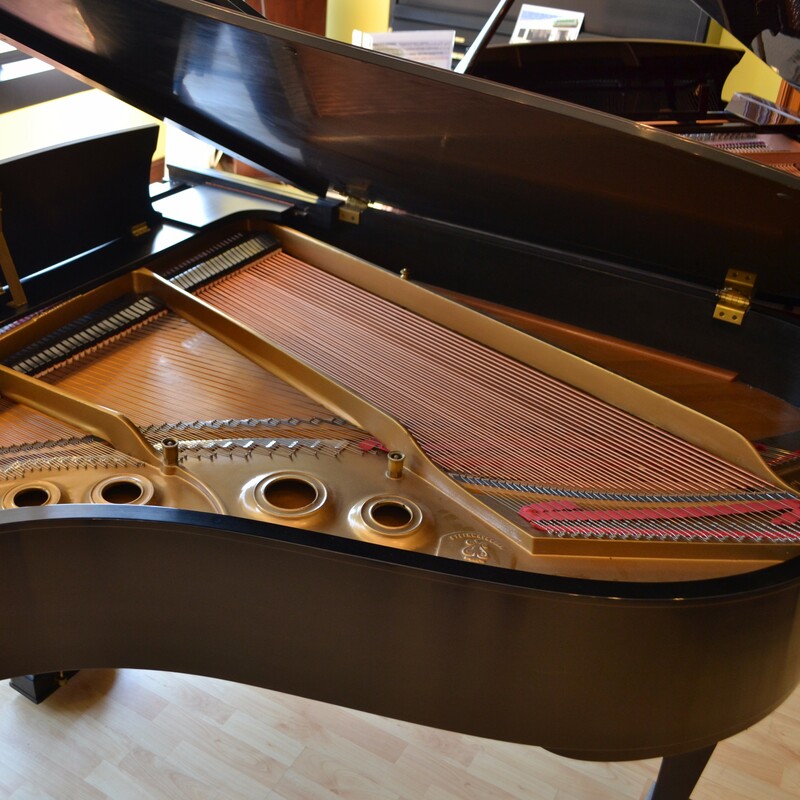 The piano is in excellent, expertly maintained condition and is totally original without any modification. 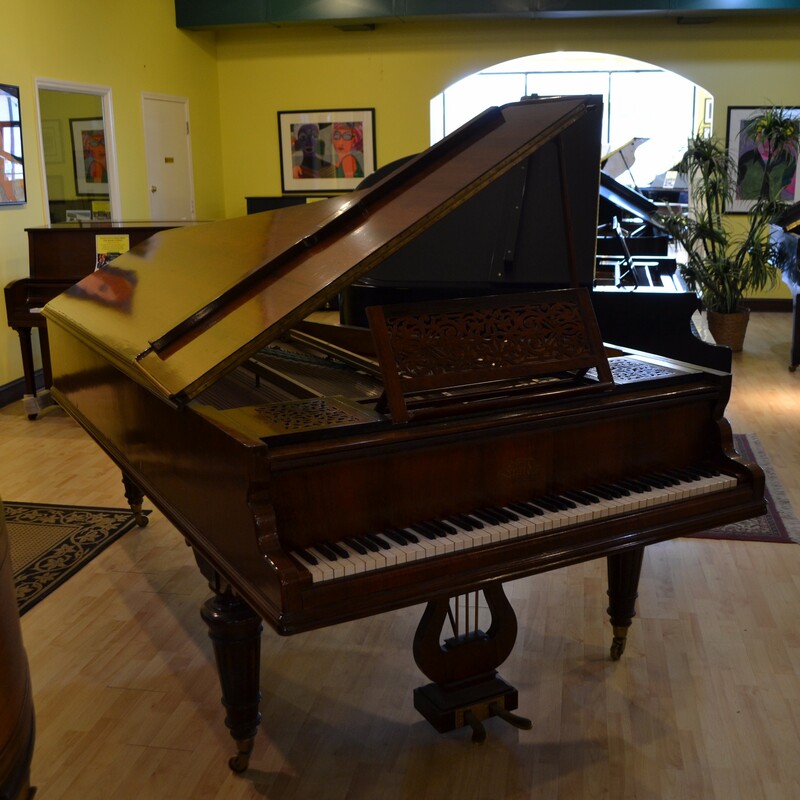 This piano is available for sale, please call Chris Fulk for complete information at (336) 724-9612 or (336) 577-1954. 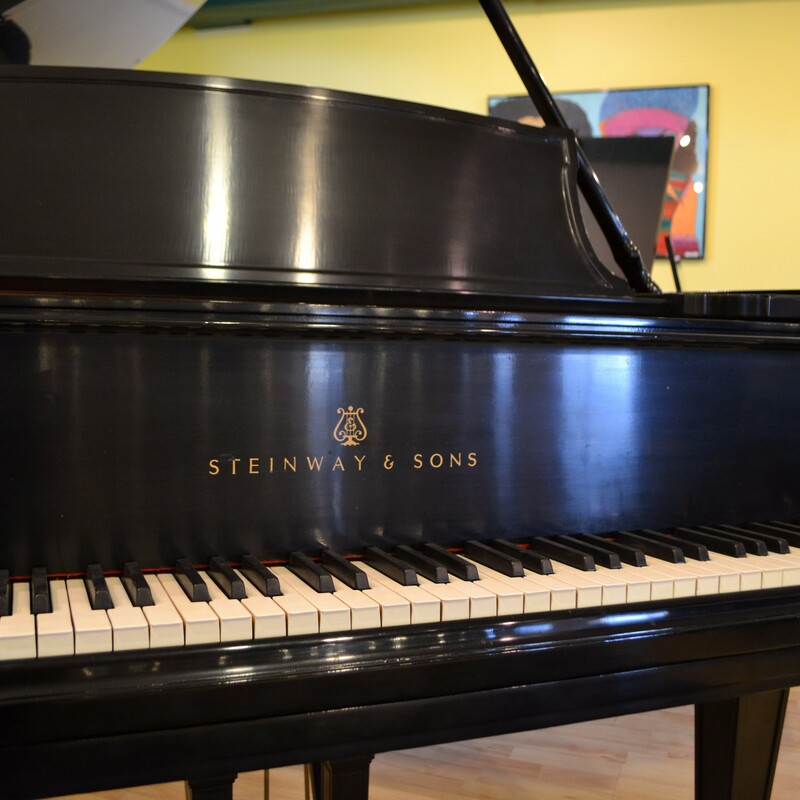 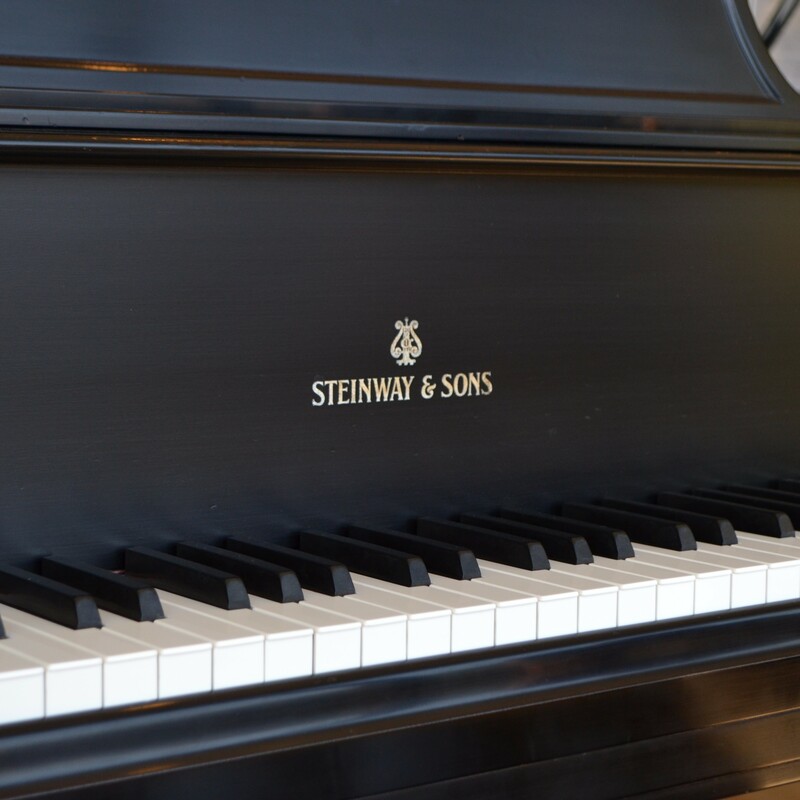 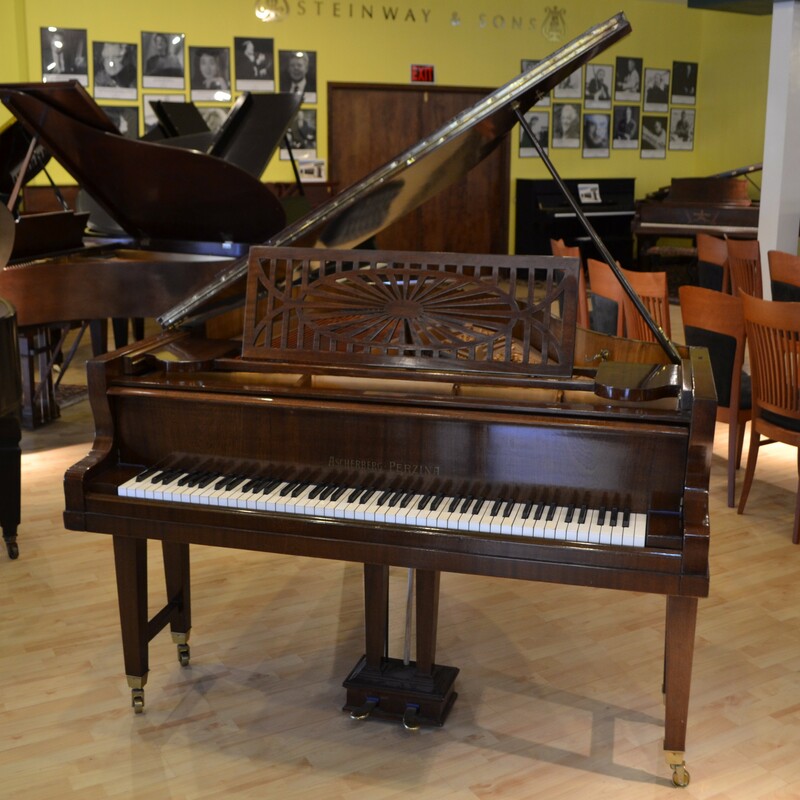 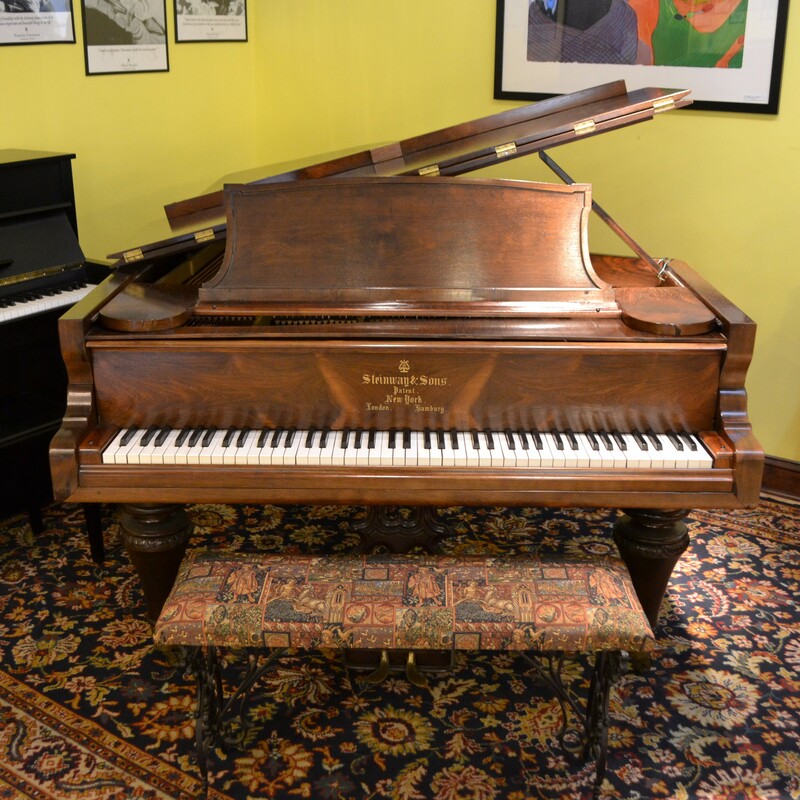 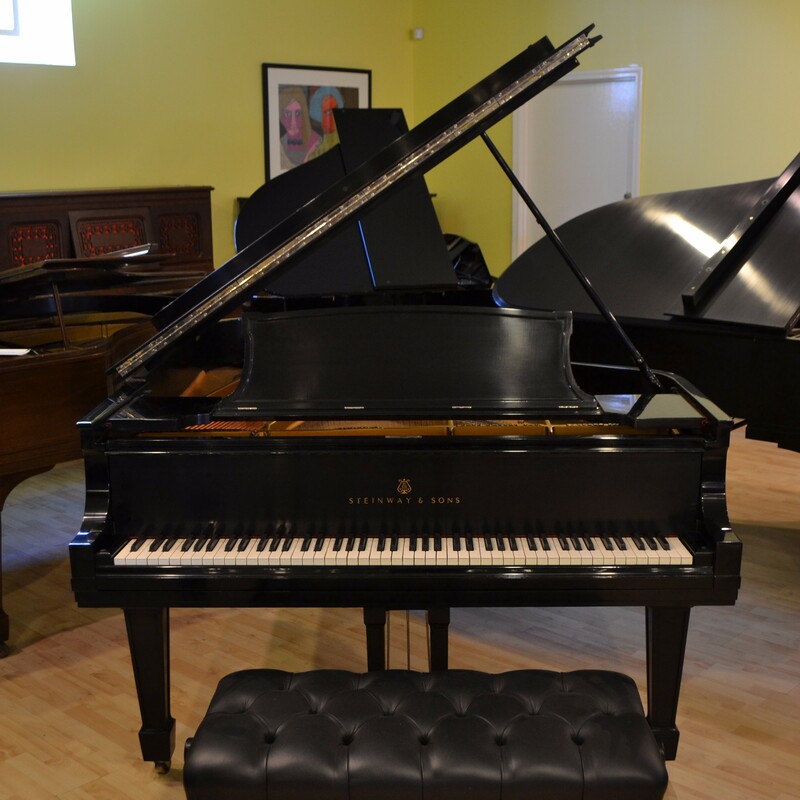 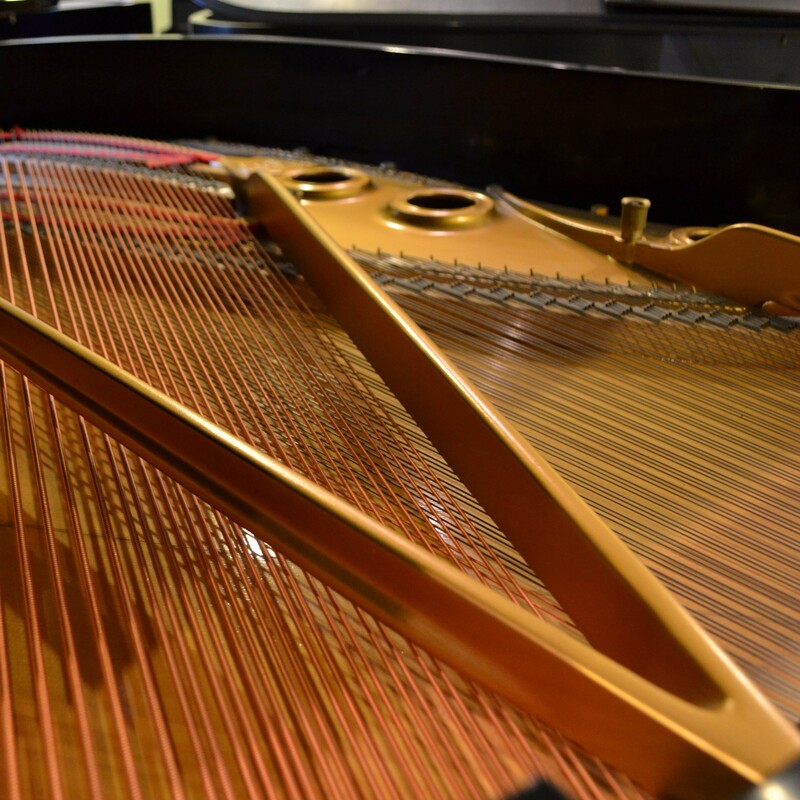 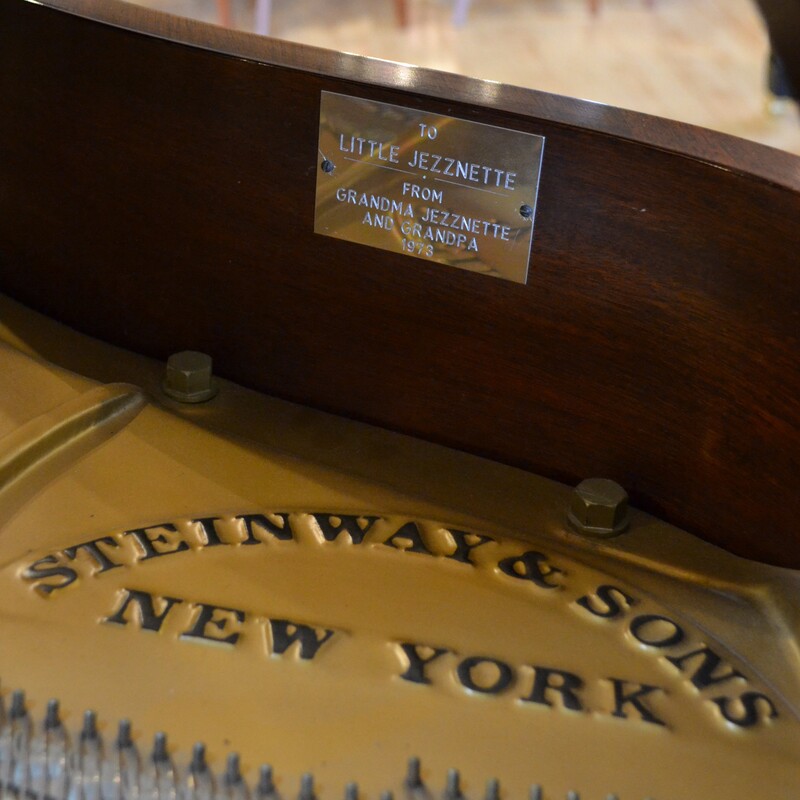 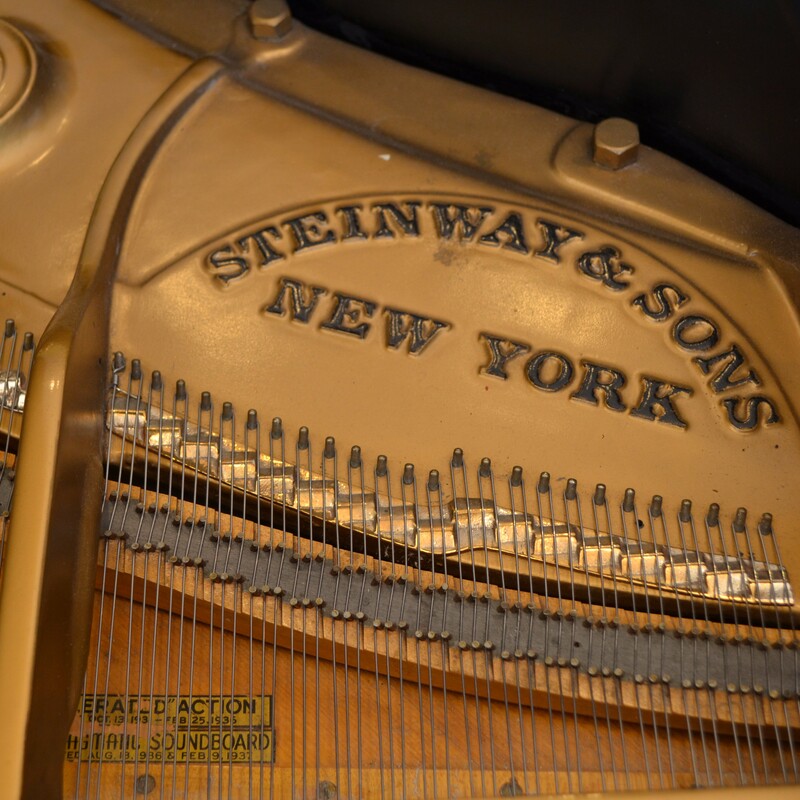 Owned by a musician, this vintage Steinway Model L Grand piano measures in at 5'10.5". 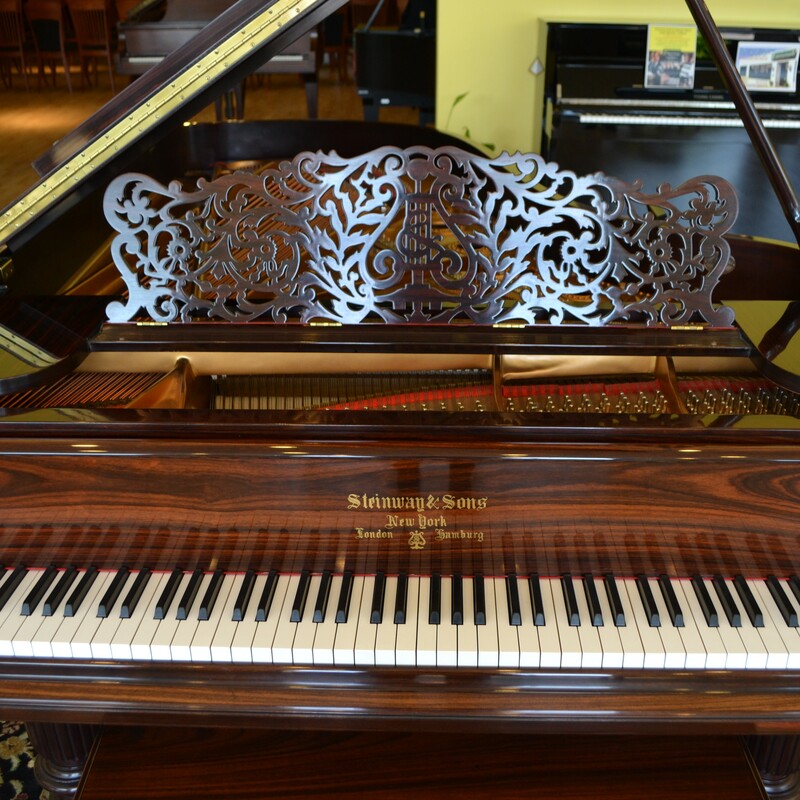 It retains its beautiful ebony finish but has been expertly refurbished, restrung, and action reconditioned. 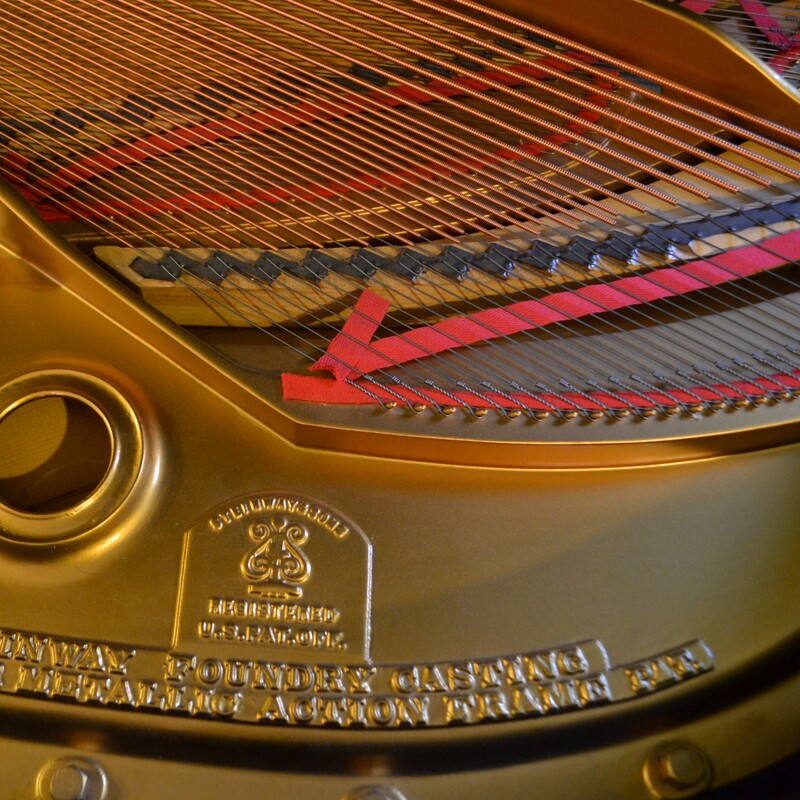 New hammers were added and the piano has been meticulously regulated and voiced. 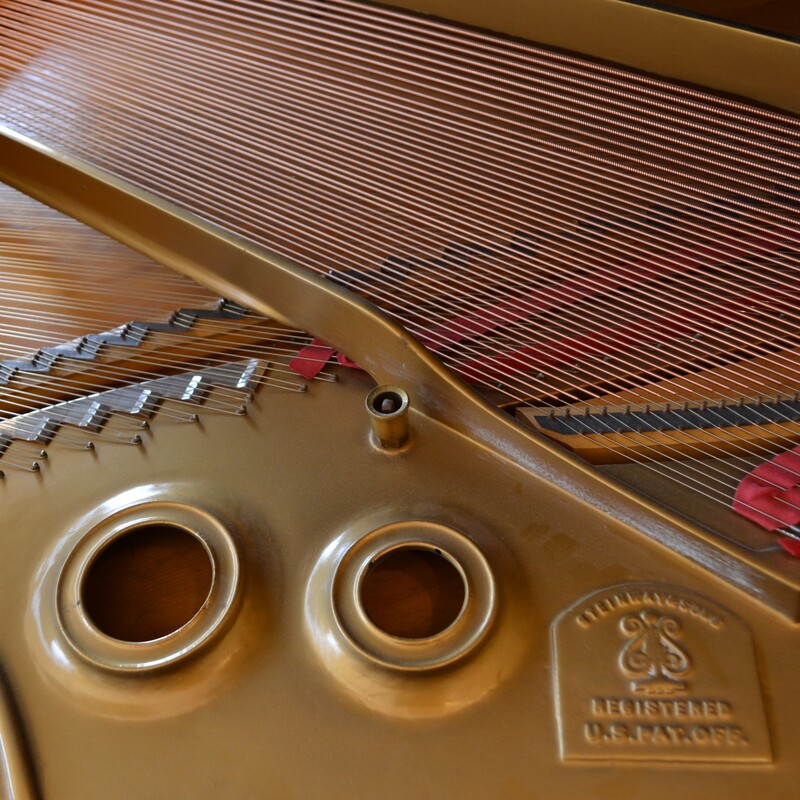 This is truly a magnificent instrument! 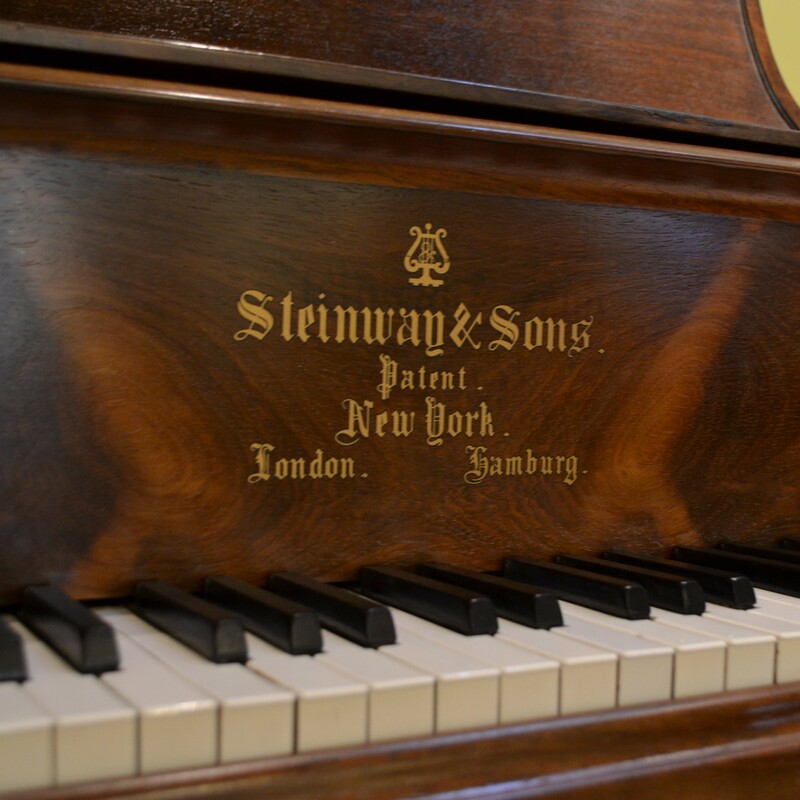 Originally built in 1867, this amazing vintage patent Grand piano from Steinway measures a statuesque 7'2'' in length. 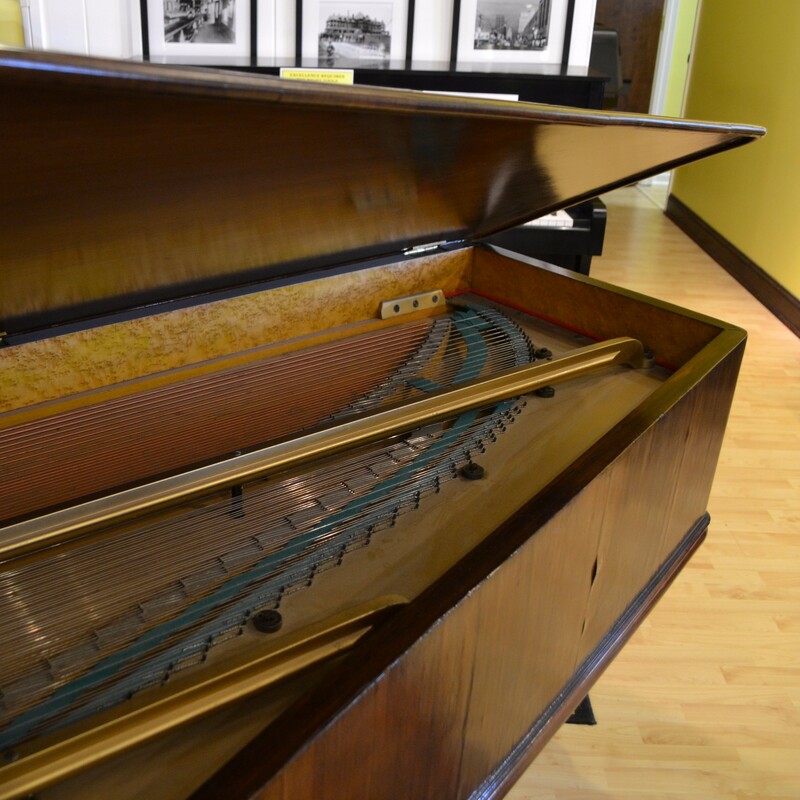 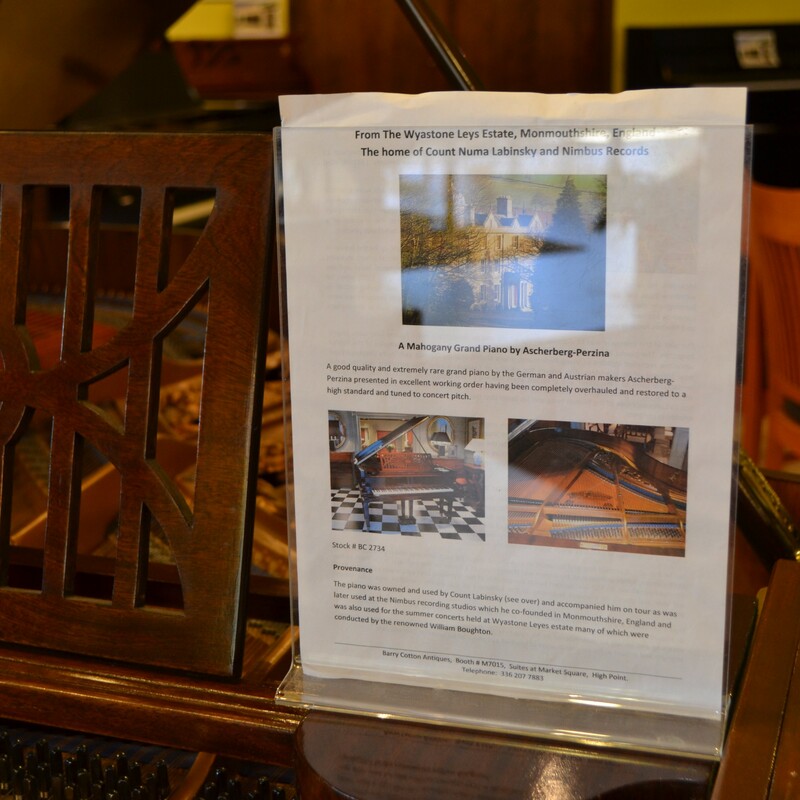 Records suggest that this very piano was made for the Wanamakers, a prestigious Philadelphia family who founded the department store by the same name. 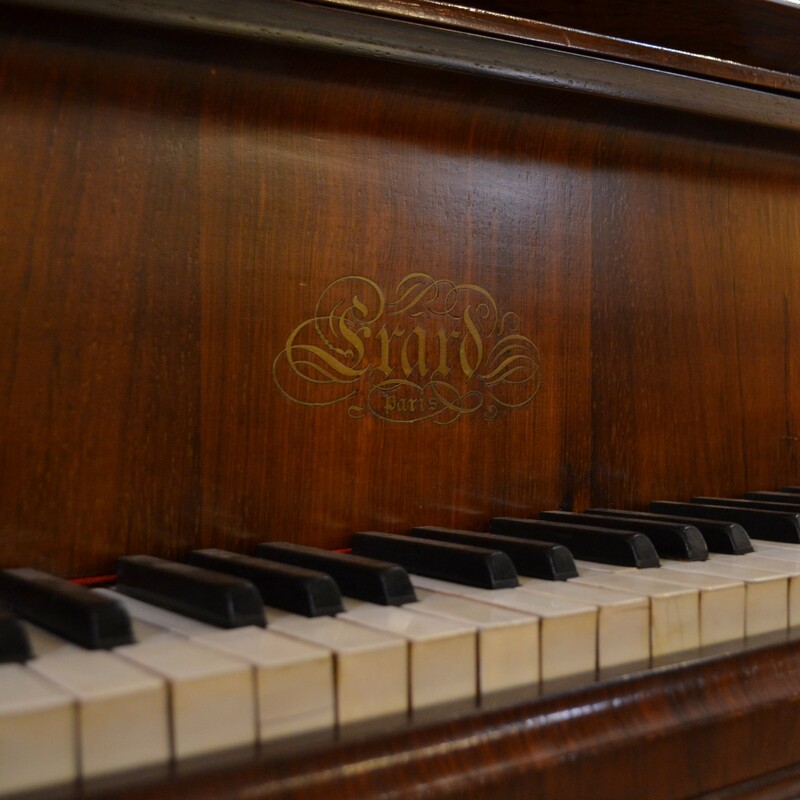 While Erard doesn't currently manufacture pianos, they were one of the first piano makers to exist and grew from the love of one musician and instrument maker Sebastian Erard. 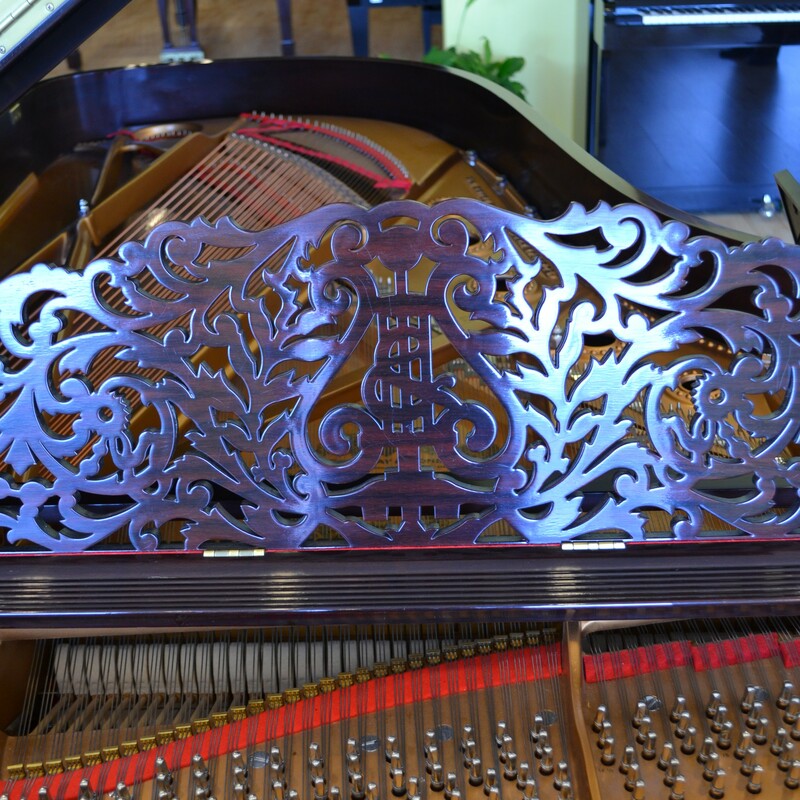 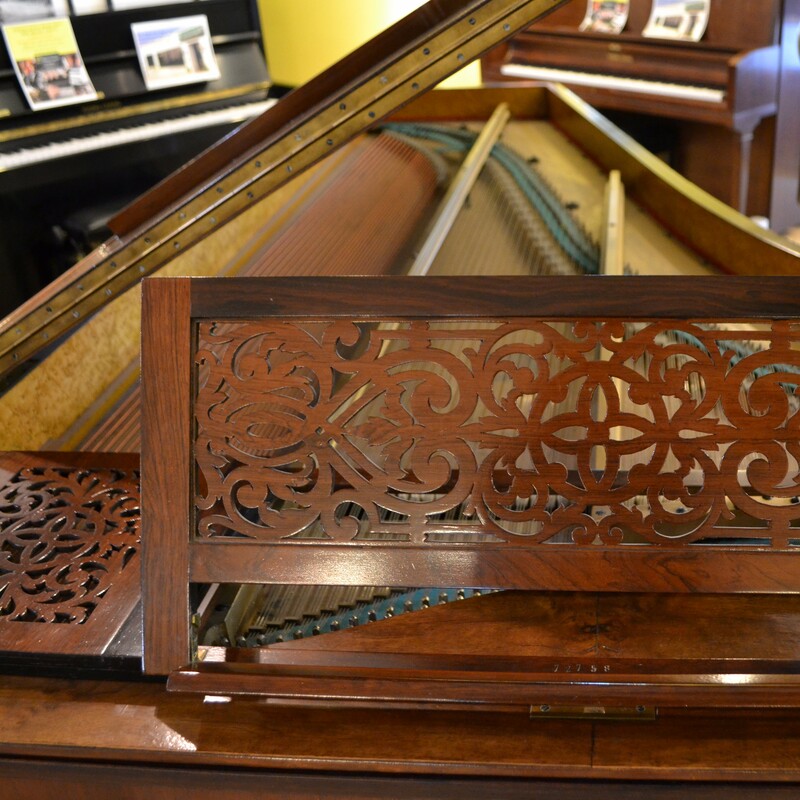 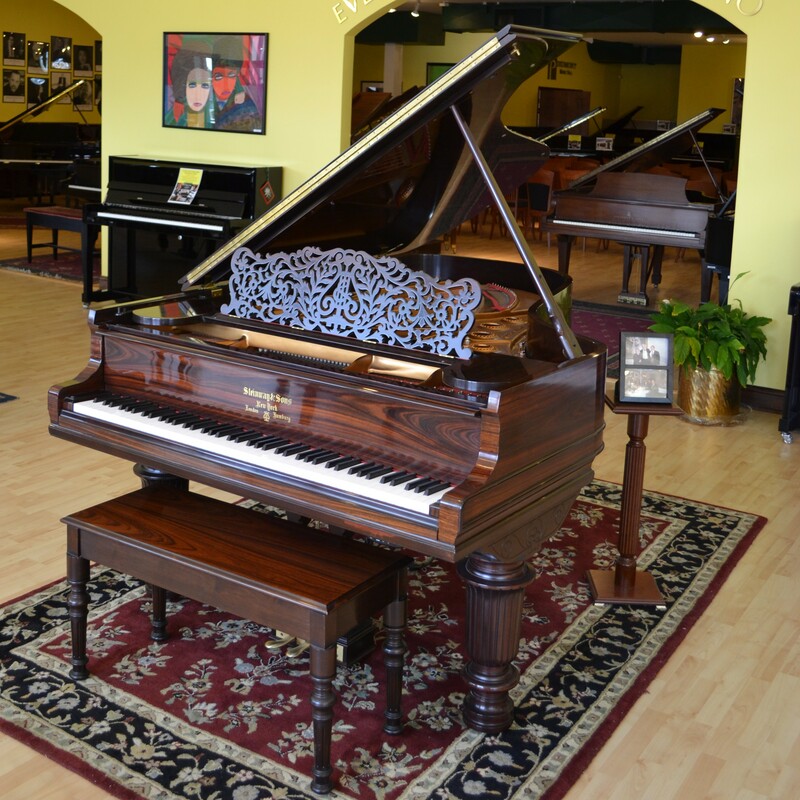 This Concert Grand Piano was built in 1887 and handcrafted in France out of ornate rosewood, and this piano is totally original -- no rebuilds! 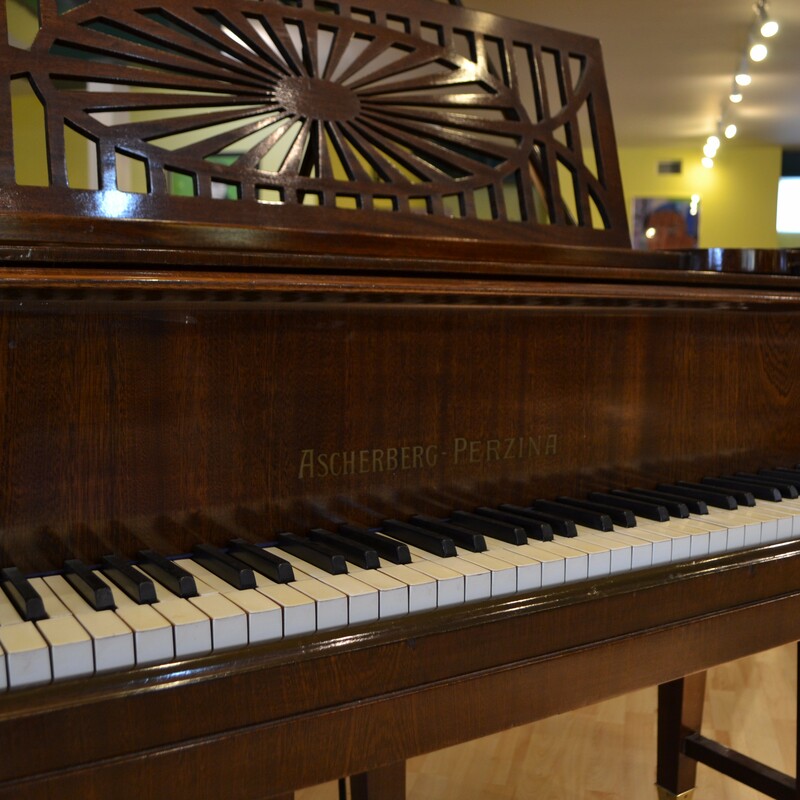 Unique restored Ascherberg-Perzina Grand Piano formerly owned by Count Numa Labinsky, co-founder and chairman of Nimbus Records. 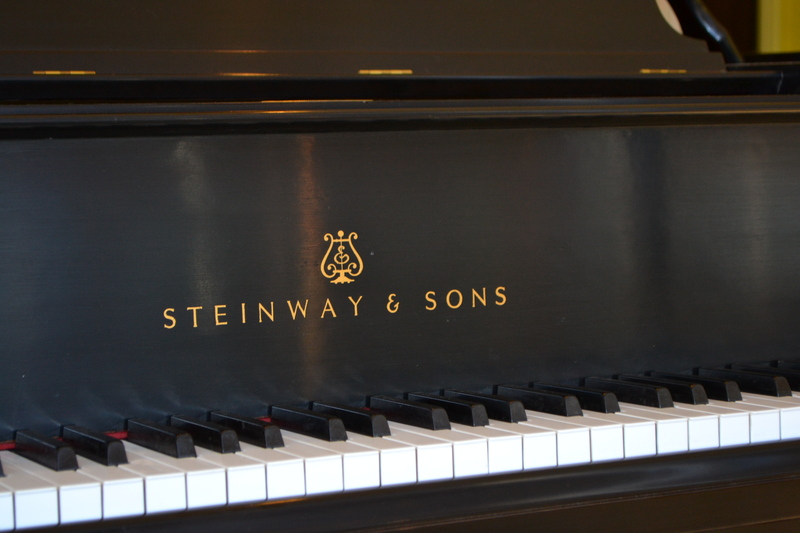 Count Labinsky was born to Russian and French parents in Birmingham, England in June of 1925 and was also a celebrated concertizing singer in both bass and alto register, a poet, painter, writer, and artistic catalyst. 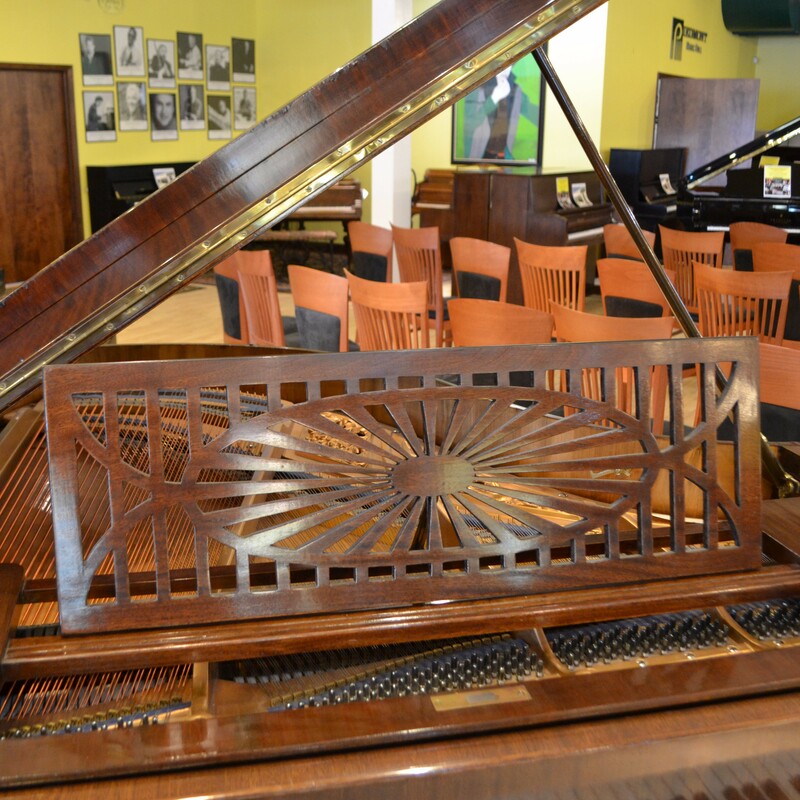 A very rare grand piano by German and Austrian Makers which accompanied Count Labinsky on tour. 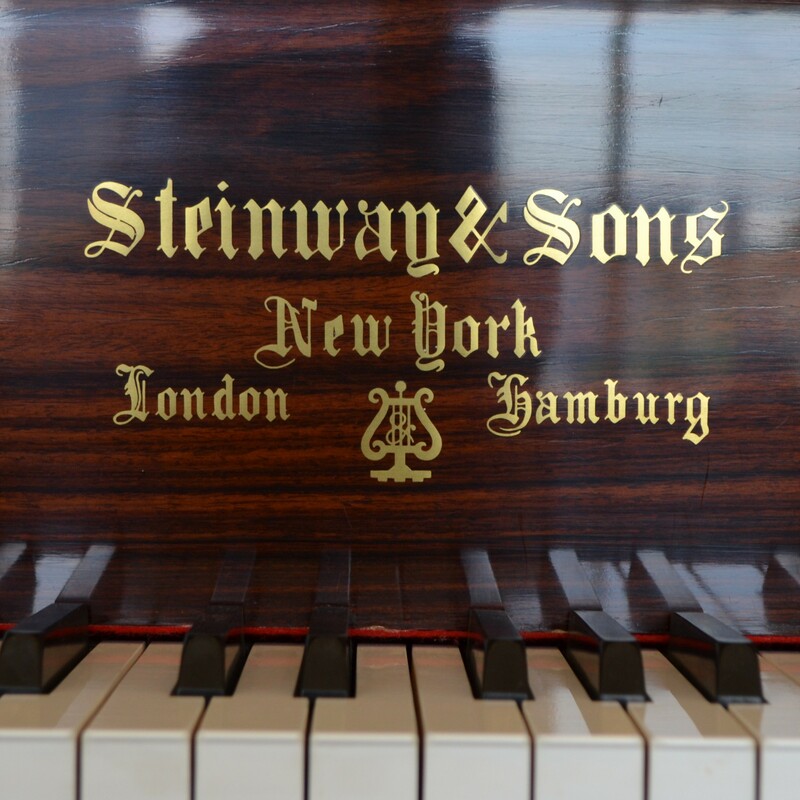 It was later used at the Nimbus recording studios in Monmouthshire, England and summer concerts held at the Count's Wyastone Leyes Estate conducted by the renowned William Boughton. 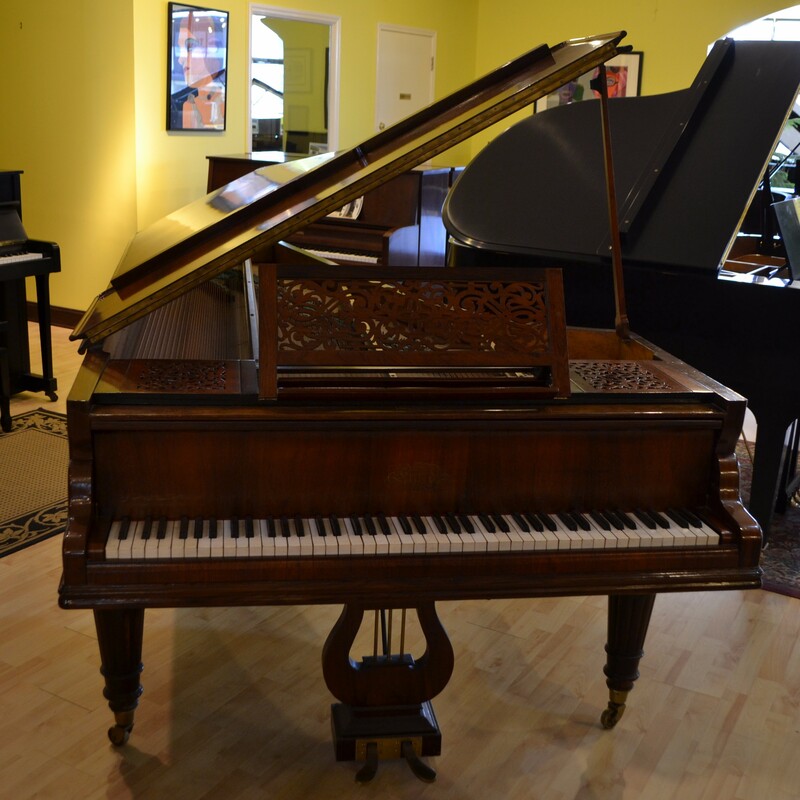 This piano is available for sale, please call Chris Fulk for complete information at (336) 724-9612 or (336) 577-1954. 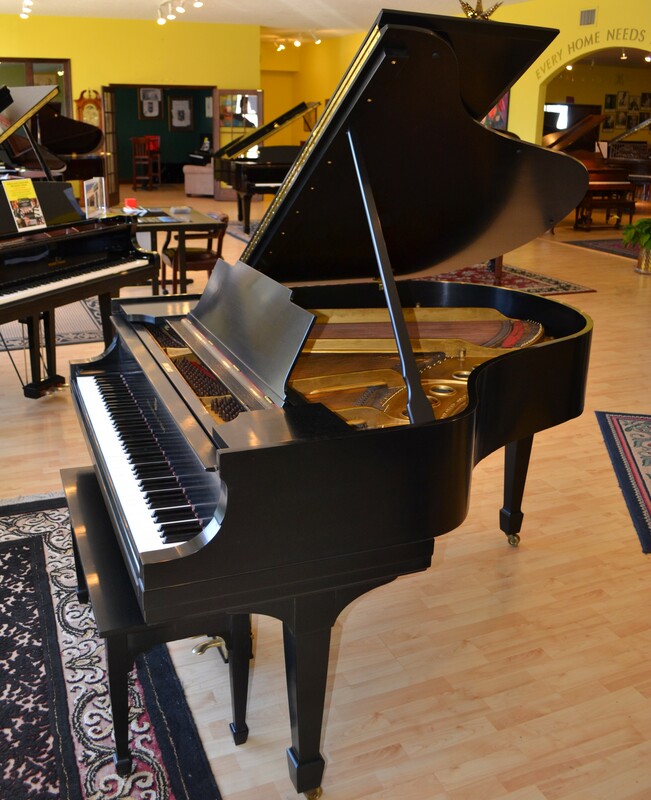 This is a lovely Vintage Steinway Model M ebony satin piano from Steinway’s golden era. 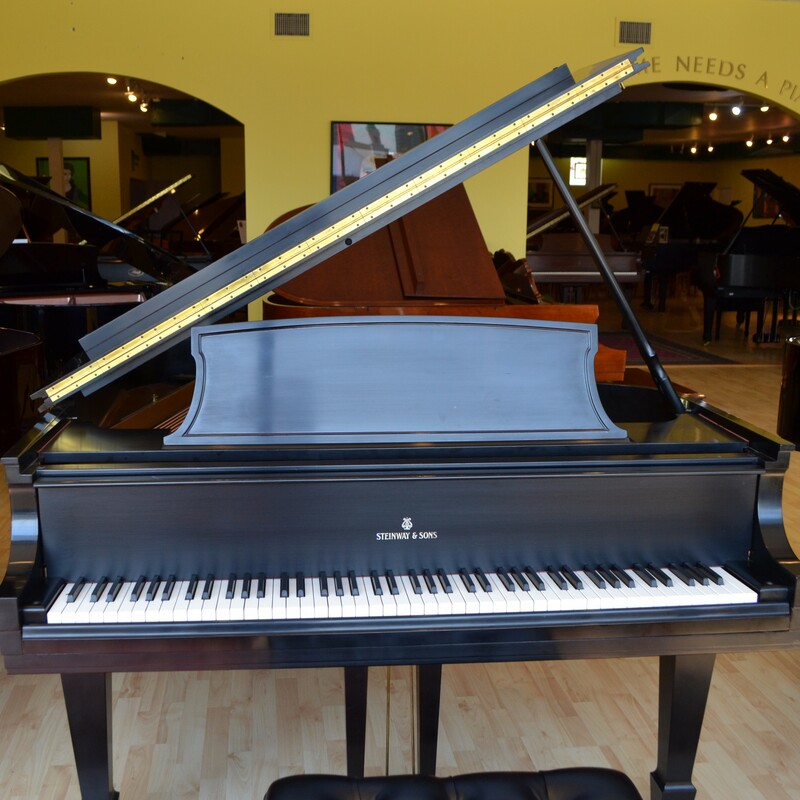 This beautifully refurbished 5’7” grand piano has been refinished, restrung and has new hammers and dampers, new key tops and ebony sharps. 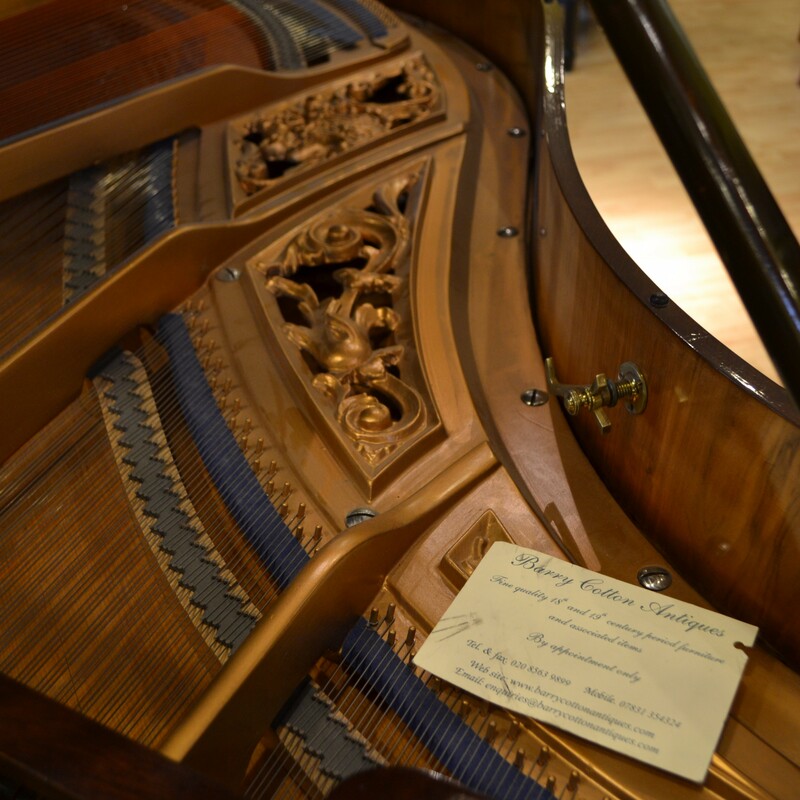 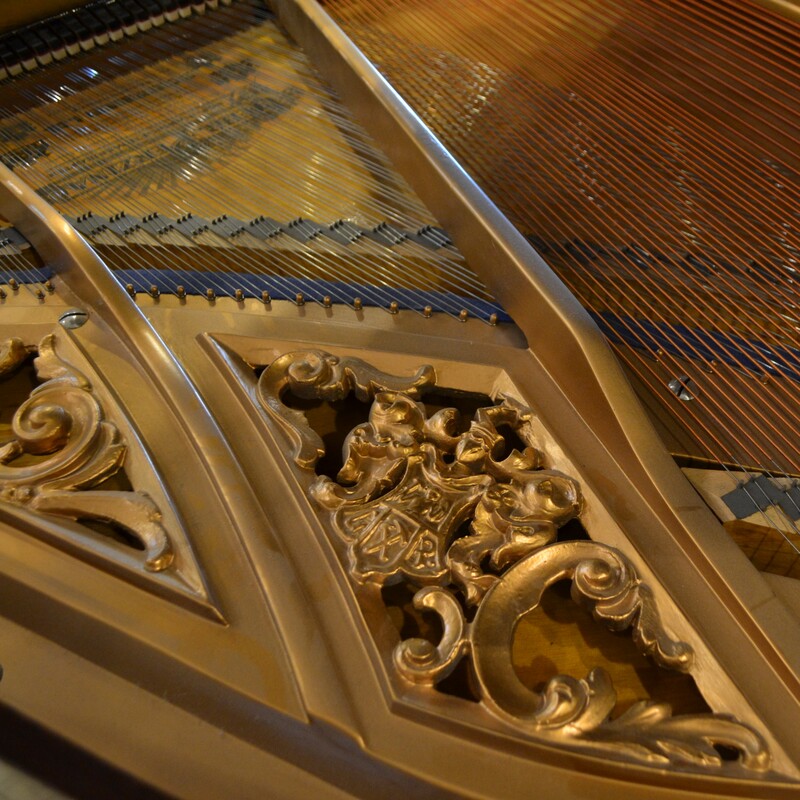 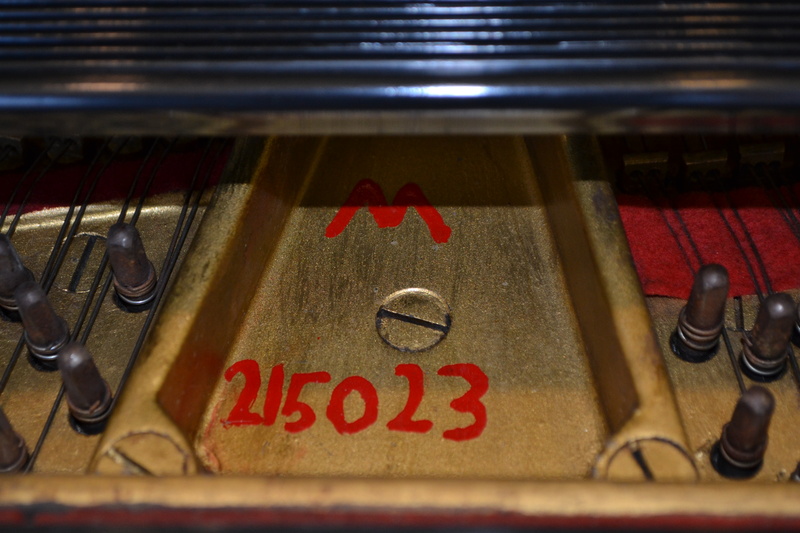 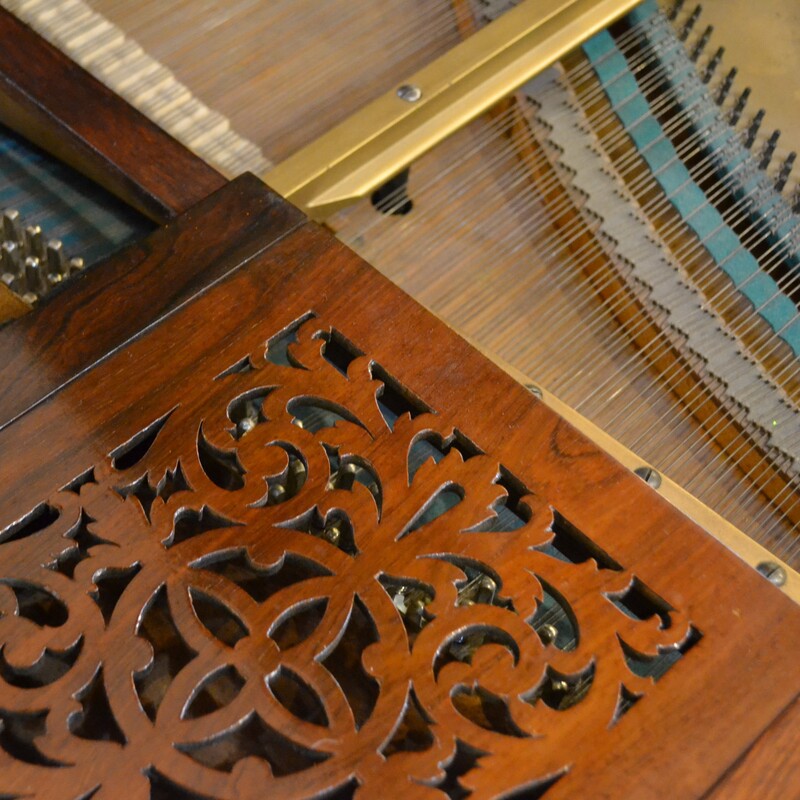 It is serial number 215023 and is the 23rd piano completed in 1923.